Mid-week trivia: Which is the fastest large sedan around an empty track. 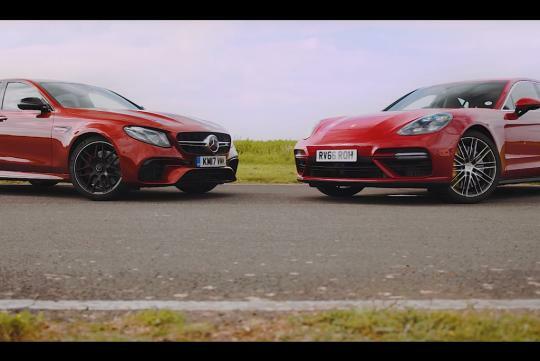 The Mercedes-AMG E63 S or the Porsche Panamera Turbo? Auto Express has the answer for you in its latest video. Will the E63 S's higher power output (603bhp vs the Porsche’s 542bhp) and lesser weight (more than a hundred kilograms lighter than the Panamera) allow it to beat the Porsche around the track? Watch the video and see whether the Porsche, which is usually the track attack champion in reviews, can beat the more lairy and over-the-top E63 S.